The Rodin Museum re-opens today after a long renovation, its lobby featuring a sweet new installation: A copy of the sculptor’s famous Monument to Balzac, standing nearly 4 meters high, and made entirely from chocolate. With this new installation – entitled “La Sculpture a du Gôut”, or “Sculpture with Taste” – Patrick Roger, the French chocolatier most famous for his giant chocolate orangutans, will prove that he isn’t monkeying around. The audacious piece, finely detailed and richly textured, is on display through February 20 next year and represents the beginning of a new artistic endeavour for Roger, who was named a Meilleur Ouvrier de France (MOF) in 2000 at the tender age of 32. After decades at the top of France’s chocolate scene, during which the windows of his boutiques have become crowd-gatherers thanks to his signature cocoa-based sculptures, Roger is now moving on to traditional materials with works forged from the likes of bronze, aluminum, and various metals. It’s undeniable that Patrick Roger’s chocolates have taste. One bite of his signature chocolate, a shiny chartreuse orb filled with liquid lime caramel and packaged individually in a tiny turquoise case that could easily be mistaken for Tiffany’s ring box, confirms that his sweets have style and substance. 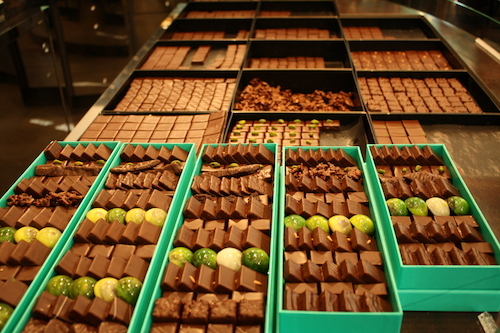 There’s an attention to detail throughout the process, from how the ingredients are sourced and prepared to how the chocolates are presented (when Patrick Roger staff handle the merchandise, they put on black gloves to match the carefully designed interior). Roger’s studio in the suburb of Sceaux supplies his nine shops throughout Paris and Belgium with a wide variety of bonbons, truffles, bars, and whimsical, seasonal sculptures. His chocolates, which are regularly featured on our neighborhood tours, are some of the best looking and best tasting the city. A true artist already, then, Roger is now expanding his repertoire. 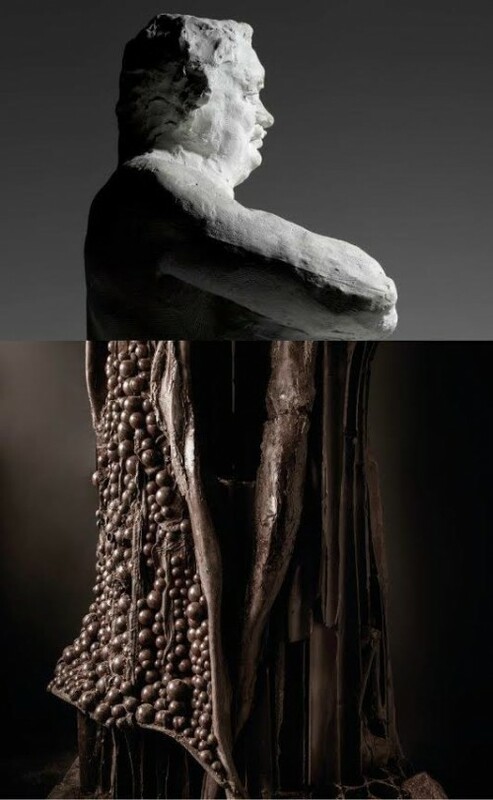 In September, the chocolatier published a coffee table book of his non-sweet sculptures with a foreword from Catherine Chevillot, the director of the Rodin Museum. The glossy tome is available in his chocolate shops and the museum’s gift shop. The windows of all his boutiques currently feature chocolate versions of Rodin’s famous Thinker sculpture, in honor of the museum’s re-opening. His original shop at 108 boulevard Saint-Germain has undergone a stark renovation and re-opened in mid-October with a sleek new facade and redesigned interior complete with eerie, omniscient eyes reminiscent of the Great Gatsby overlooking the street. 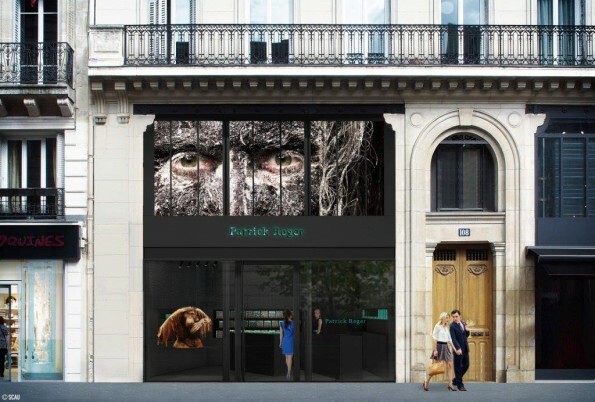 If that wasn’t enough to keep him busy, Roger will open a temporary gallery in the Marais during the holiday season. 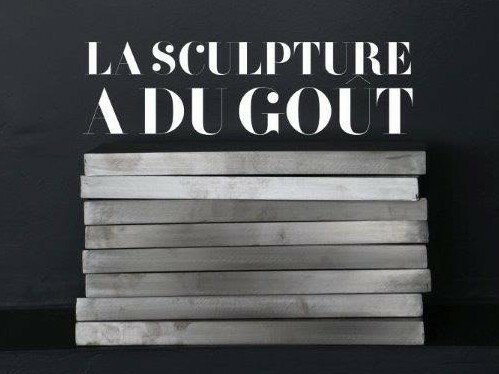 From December 7-January 3, the space located near the Place des Vosges at 10 rue de Turenne, 75004, will feature 50 of his sculptures in chocolate but also a variety of materials (bronze, cast aluminum, and others.) There will be a workshop to see the real-time creation of chocolate art, a sales counter to purchase sweets, special kids’ activities, a handful of ticketed private dinners, and round table discussions to philosophize about the nature of art and taste, including one led by Chevillot. The flurry of artistic activity (edible and otherwise) within Roger’s shops, the Rodin museum, and his new gallery space, proves once and for all that chocolate is simply one medium among many that the artist has mastered.